Remember how you felt when you picked up your first hula hoop as a kid? It made you feel carefree like nothing in the world could stop you. And it didn't matter how many times you may have dropped the hoop. This was a childhood activity you enjoyed because it was fun and it put a smile on your face. You probably didn't realize it back then, but hula hooping has a host of health benefits. As an adult, I rediscovered hooping to help me loose some weight and tone up my core area. In doing so, I experience many other benefits such as better posture and flexibility. With all these health benefits hooping has to offer I want talk about three that I feel are great health benefits and they are: laughter, spinal health, and digestive health. A cheerful heart is good medicine, but a crushed spirit dries up the bones." So far studies have shown that laughter can help relieve pain, bring greater happiness, and even increase immunity. Laughter reduces the level of stress hormones like cortisol, adrenaline, dopamine and growth hormone. Laughter increases the level of health-enhancing hormones like endorphins, and neurotransmitters. 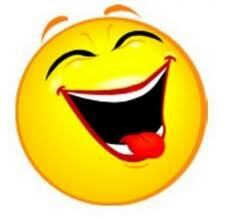 Laughter increases a stronger immune system by increasing the number of antibody-producing cells. I like to get a double dose of laughter by hooping while watching my favorite comedy show or sitcom on TV. After a really good laugh I feel cleansed of all the pressures I've had during the day. It provides me a physical and emotional release after a stressful day at work. Hula hooping is a playful way to exercise your spine and bones. Simple waist hooping works the entire circumference of muscles attached to your spine. Some chiropractors integrate hooping into their treatments to ease back pain due to poor posture or just sitting hunched over the computer all day. Your core muscles, which are located in the abdomen and back, are the muscles responsible for the right alignment of the spine. If these muscles are not strong, they will end up tired and stiff. This will affect the flexibility of your spine. Hooping strengthens your core muscles and increases spine flexibility. You know the spiral & rocking movements you do to keep the hoop up! Well these are the same moves that mimic functional spinal movement. When you practice hooping every day, you are not only strengthening your core mucles, but lubricating your joints increasing joint flexibility. The act of moving your hips fluidly does wonders because your hips becomes more loose and less rigid. In addition, you will notice your posture is enhanced to do daily activies like walking, twisting and turning with more strenth, grace and flexibility. Now, you maybe asking yourself, "How can hooping help lower back pain?" Keep in mind, when you have a strong core it takes the extra load off the spine. 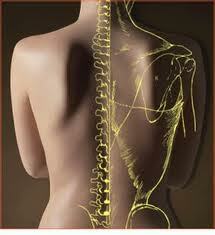 As a result, there is less lower back pain. Also, when the hoop is rolling over your lower back you get a gentle massage, which can help with chronic tension in that area.This brings an overall feeling of relaxation because the massage increases blood flow to muscles, which helps with oxygen supply. Your spine can recalibrate and be realigned, which improves spinal flexibility and help with the lower back pain as well. IMPORTANT: Even though hula hooping can reduce back pain, you should consult your doctor before starting a hula hoop exercise. Especially, if you already suffer from back problems. If this is the case, use common sense. If your back is so bad to where you can't walk, then don't hoop. But if you can walk, try hooping one day a week to see how you feel. You've been there. You know that feeling of being constipated or having diarrhea. Or, what about that painful heartburn you get when there is to much gas in your intestine. If you have ever had any of these symptoms, then you know it is not a good feeling at all. Most people don't like to talk about their digestive issues unless it becomes a problem. This is a familiar body dysfunction in our culture. To find relief, we usually visit our local drug stores, which are filled with various medicines for indigestion or heartburn. Hooping on your core is a great way to improve digestive health. I've noticed the more time I spend hooping, the less money I spend on over-the-counter products for digestive problems like constipation. In fact, I hardly ever purchase medicine for these type of issues any more. It is vitally important for your digestion to be working properly to eliminate waste. You should have a bowel movement at least three a day. Like, after each meal. When you don't eliminate waste when nature calls, then it hardens causing such problems as constipation and issues with circulation of blood and lymphatics. Did you know that 50% of the body's lymph nodes are in our belly? Waist hooping stimulates lymphatic flow, which increases circulation. In addition to hooping, your diet can help with a good bowel movement.